A truly feminine take on a high-performance jacket, the Helly Hansen Skistar Insulated Ski Jacket starts slope life off with 10K waterproofing and a mapped PrimaLoft® insulation package. That's all cut and sewn into a sleek, form-fitting piece with great color and fashionable soft trim around the detachable hood. Integrated stretch helps you move freely and fully on the slopes. Helly's innovative Life Pocket+™ ensures that you have phone battery left, insulating against battery drain with the light, potent power of aerogel. Wear this jacket from the front side to the back side - and anywhere in between. "I see that the hood is removable. That’s great. Is the fur removable from the hood? " "Yes, the fur is removable from the hood. We hope this answer helps." "Is it real fur on the hood?" "Thank you for your inquiry. 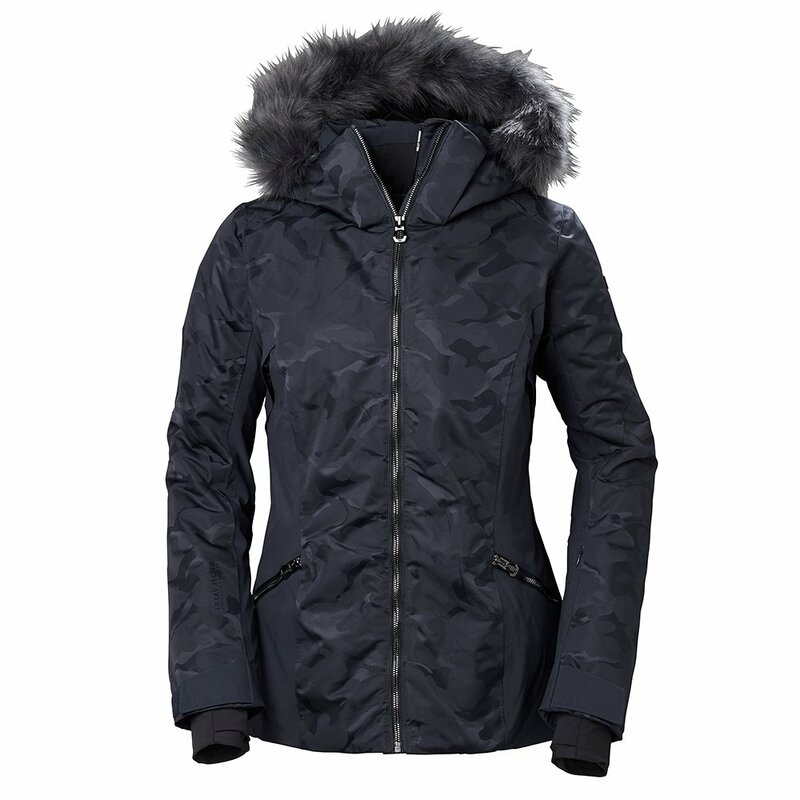 The fur on the Helly Hansen Skistar Insulated Ski Jacket is Faux fur. We hope this information helps! "